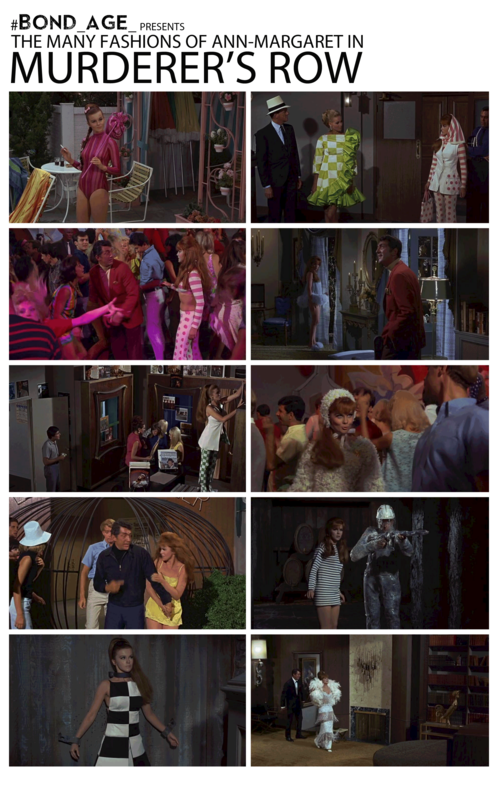 I was inspired to create the following poster-sized reference guide to the many fashions of Ann-Margaret in Murderer’s Row. So inspired, in fact, I pulled each of the images directly from the movie. It was actually harder than you’d think because of how often Ann-Margaret was thrashing around during the dance scenes. Even going frame by frame to find the right shot proved challenging. It was just a mess of hair and arms and colored lights and sometimes Dean Martin even got in the way. Can you believe that the star of the movie would get in the way of all the the fashions?! 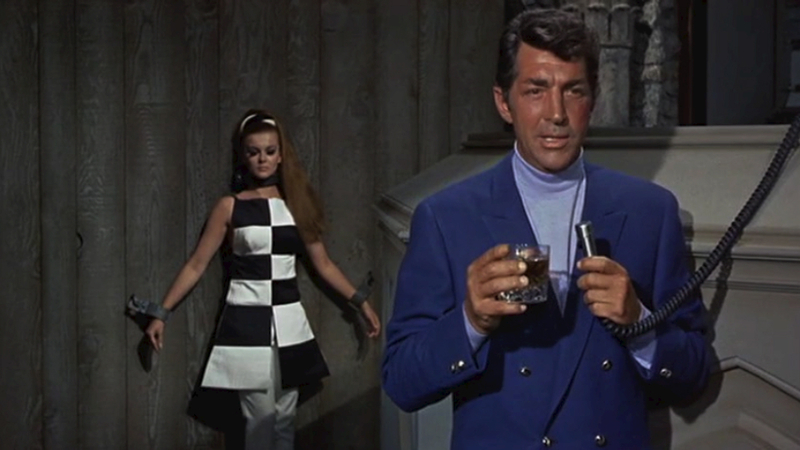 Click here to view the #Bond_age_ Live Tweet Digest for Murderer’s Row.